With ferocious resolve, this warrior takes a jab at his foe. 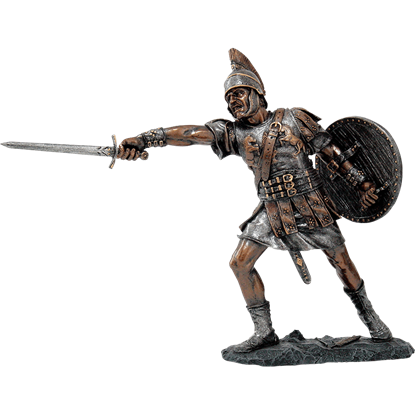 The Attacking Roman Soldier Statue provides a glimpse into ancient warfare in fine detail, depicting an armored fighter hand painted in antiqued silver and bronze colors. The Birth of Venus Statue is based on a painting of the same name by the famous Italian painter, Sandro Botticelli. 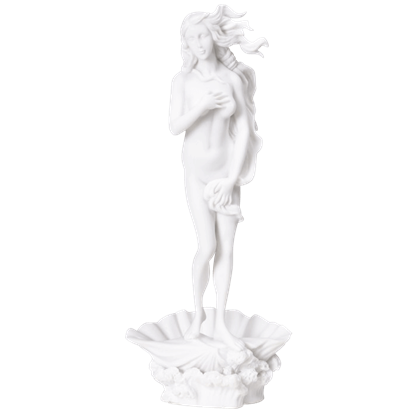 This amazing statue depicts the Roman goddess Venus in all her glory, as she stands atop a single seashell. 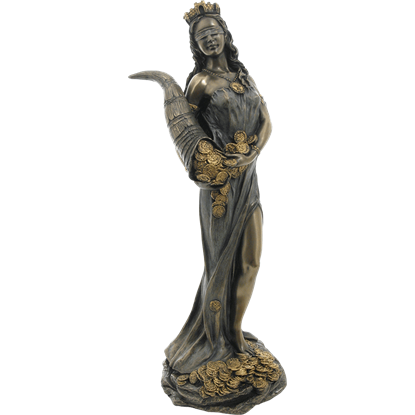 The Roman goddess Fortuna represents the capriciousness of good luck, sometimes bringing windfalls and other times serving as the cruel hand of fate. The Blindfolded Fortune Statue shows her in a moment of bounty and blessing. 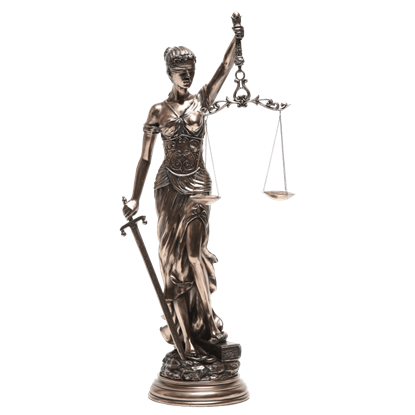 Impartiality remains the backbone of the justice system, so that all know that their actions will be judged without bias. 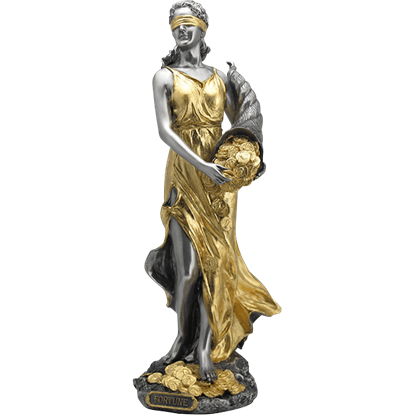 The Bronze Blinded Justice Statue depicts this concept with blindfolded Lady Justice seated with scales and sword. Fortuna was the Roman goddess of fortune, chance, and prosperity. She was one of the most popular Roman deities during the reign of Servius Tullius in the 5th century BC. 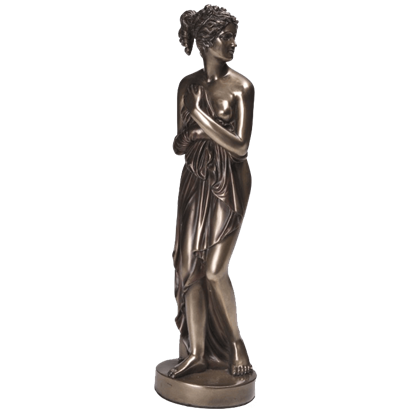 This Bronze Goddess Fortuna Statue makes a lovely gift. The Roman emperor Hadrian was known for his love of traveling and his benevolent reign, earning him a place among the Five Good Emperors. 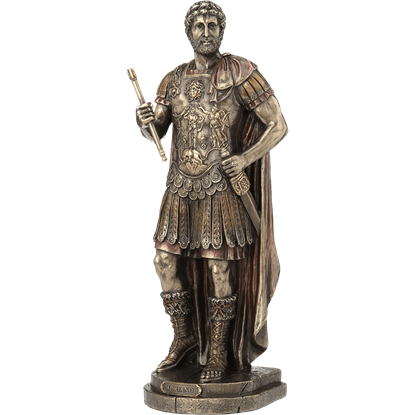 You can pay homage to this gracious ruler when you put the Bronze Hadrian Statue on display. Justice is something that man has long sought to achieve. 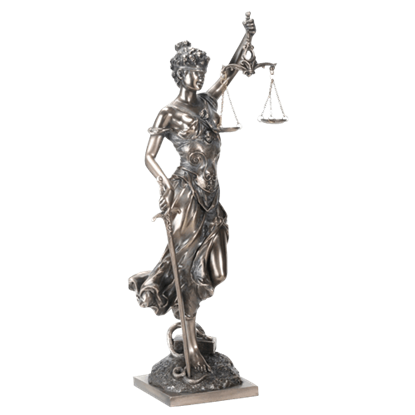 While true justice is notoriously difficult to find, this Bronze Justice With Scales and Sword Statue is not, allowing you to bring some form of Justice in your life with ease. Justice is beautiful and blind. 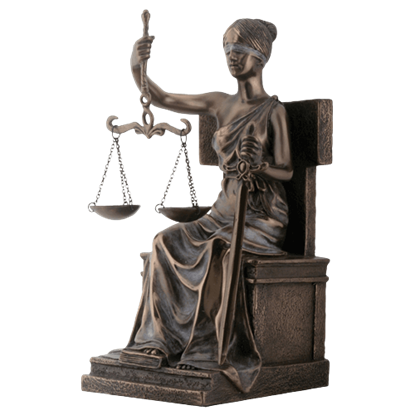 This Bronze Lady Justice Statue depicts her in her classic form, that of a lovely woman wearing a blindfold. In one hand, she holds a sword. From the other hangs a scale representing her authority. Chariots have been used as far back as far as 3000 B.C. The Romans favored them as ceremonial vehicles, convenient transportation, and as weapons. 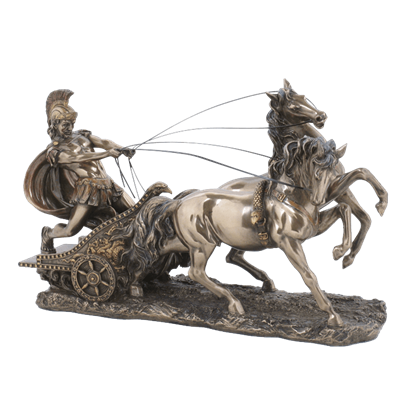 The Bronze Roman Chariot Statue depicts a warrior behind the chariots reins. In Roman mythology, Venus is the goddess of love and desire and a maternal figure, a mother of the people. In the Bronze Venus by Canova Statue, we see a modest yet beautiful side of the goddess of desire. The Bronze Winged Victory Statue is NOT a re-named recreation of the classic Winged Victory of Samothrace Statue. 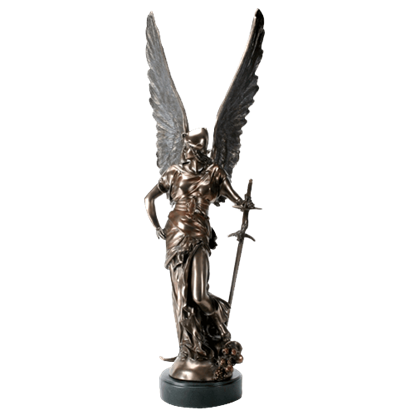 Instead, it is an independent interpretation of mythology depicting the winged Greek goddess of victory herself, Nike. With his detailed helmet, this skull decoration appears in the style of ancient Rome. 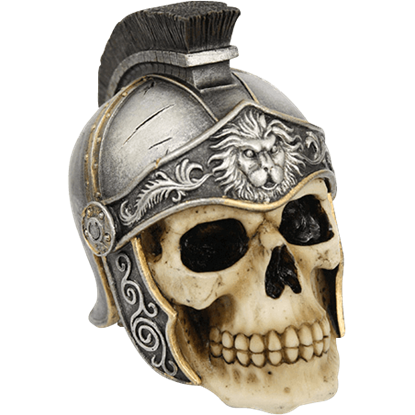 The Centurion Skull Statue wears a helmet with a black crest running down the back and intricate lion, foliate, and scrollwork designs.